Y'all like stickers and Fieros? 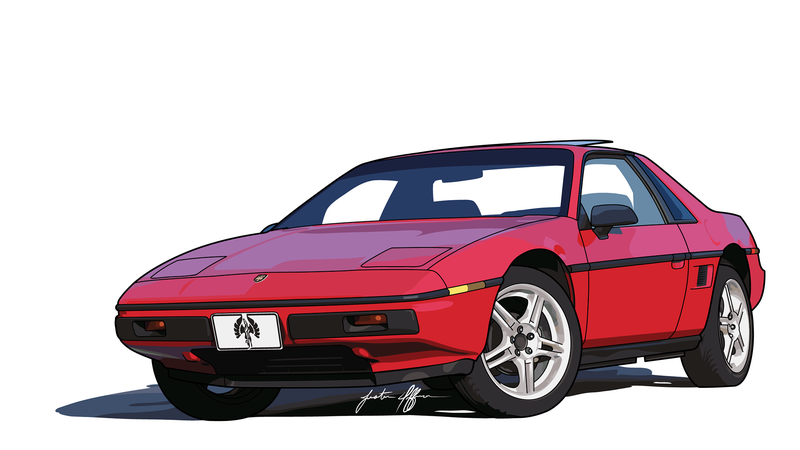 Because you can now get stickers of my Fiero illustration from my RedBubble store! Or you could get a shirt, coffee mug, laptop cover, or other things. If you want a print, you might take a look at my Society6 store for some other options. There’s some overlap here, but prices vary between the two, so I’m giving you options to find the best price on whatever you want.